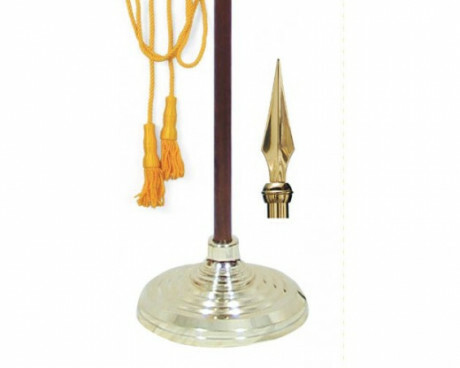 A parade flag pole is the vertical pole that is carried with a flag on it in procession during a parade or ceremony. 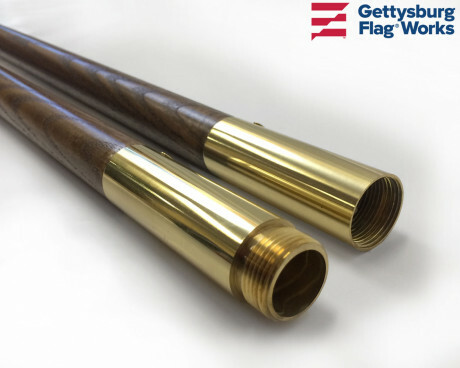 Parade flagpoles come in several finishes, including metallic gold or silver, wood and fiberglass. 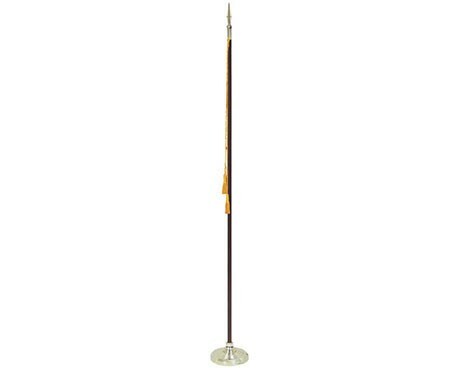 Choose a parade flag pole based on it's height (in relation to the size of your flag) and diameter to fit into your base, if you'll be using a floor stand to rest the parade flag pole in at the end of the parade or on other occasions. 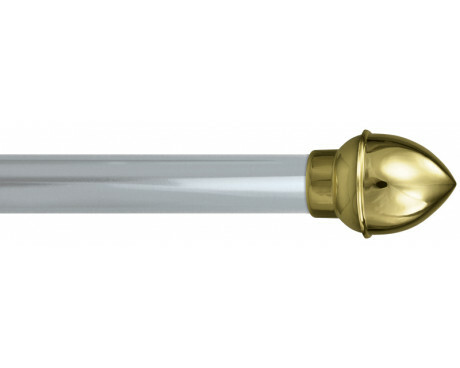 Parade flagpoles are typically adorned with a decorative finial that is appropriate to the flag being carried. An eagle is typically used on the pole of an American flag, a maltese cross for a fire department flag and a cross for a christian flag. 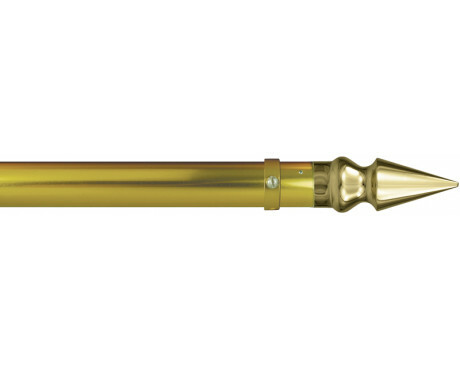 There are other finials available as well. For a flag that doesn't have a corresponding finial, we recommend either a square or round spear top. 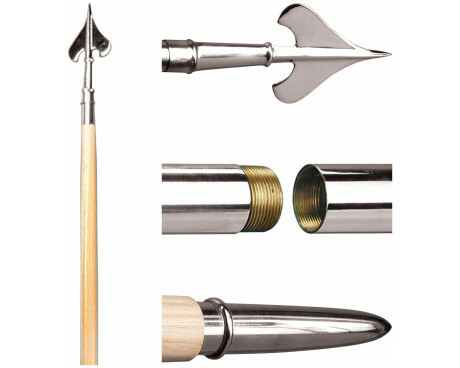 Finials are available separately. 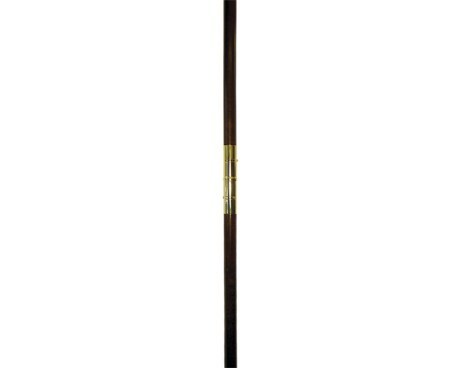 A guidon staff is a specific type of parade flag pole, which is used primarily by military color guards to carry their branch or unit flag. 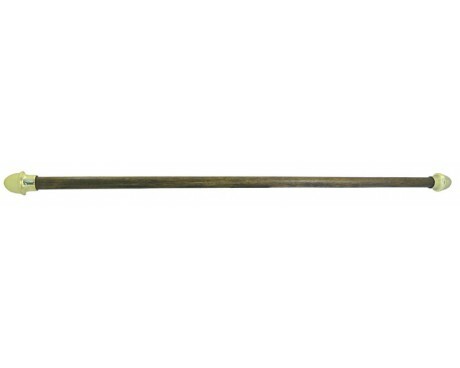 These are traditionally a light ash wood color and are topped with an army spear. 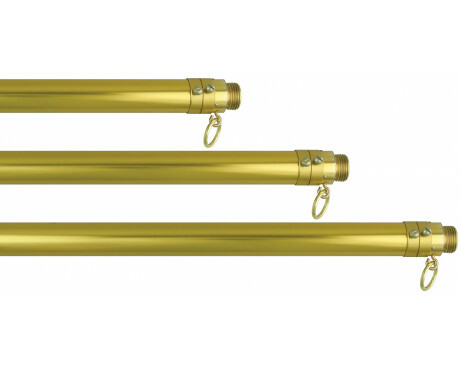 Guidon staffs come with brass or chrome fittings. 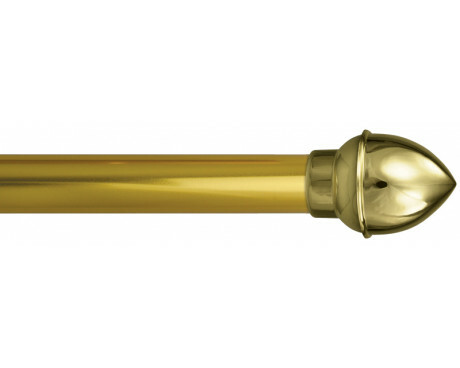 A parade flag pole is also the type of pole used for display indoors in an office, entryway or at the front of a church or meeting room. When used this way, the parade flag pole would sit in a floor stand and hold a flag vertically. Usually these are used with a fringed flag, a finial, a cord and tassel and often a flag spreader to complete the look. We offer complete indoor presentation sets for this purpose. 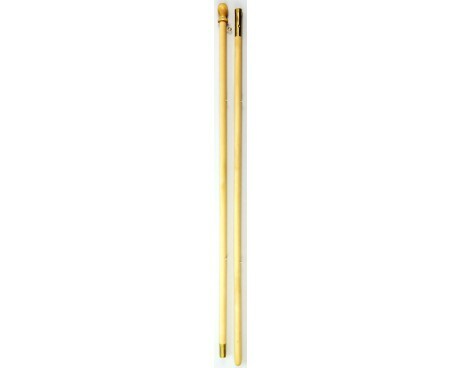 Marching band flag poles are usually made for carrying the school flag, and are lightweight with a plug at the bottom to allow them to be lifted and lowered during procession without damaging the bottom. 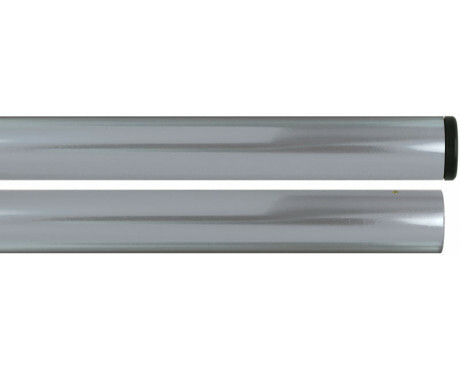 These poles are usually topped with a gold ball. Did you know that we can create a custom flag or lead banner for your marching band? 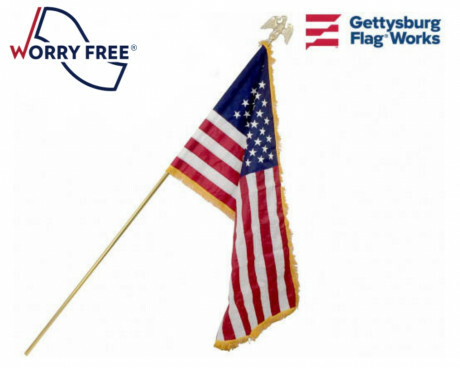 Gettysburg Flag Works specializes in high-quality sewn, embroidered and printed flag and banners for all different kinds of organizations. When calling for a custom quote, talk to your representative about recommending the right parade flag or banner pole for carrying it. 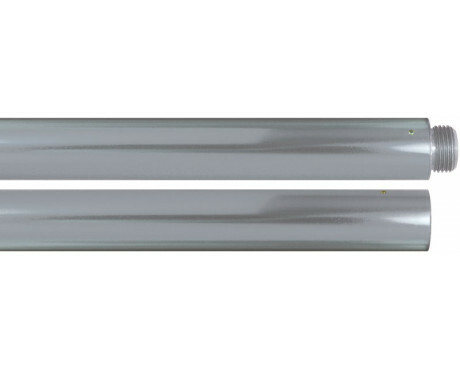 Banner poles are the horizontal bar that is used to carry a large lead banner to announce the group following it. You will see a lot of this type of banner carried by 2 or more marchers in front of a marching band, fire department, club or other group. 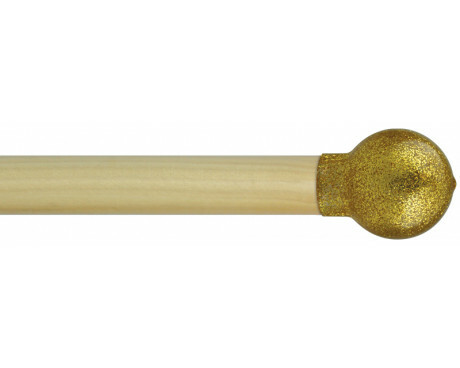 Banner poles are jointed for easy storage and often have gold acorn shaped ends. 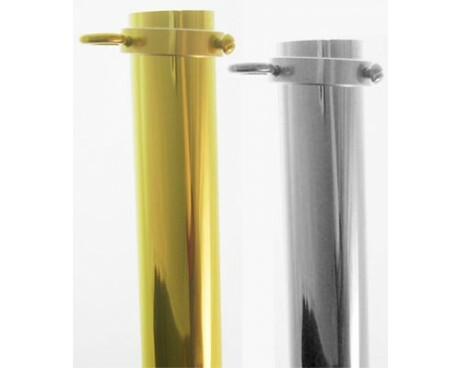 Banner poles are available in silver, gold and wooden finishes. 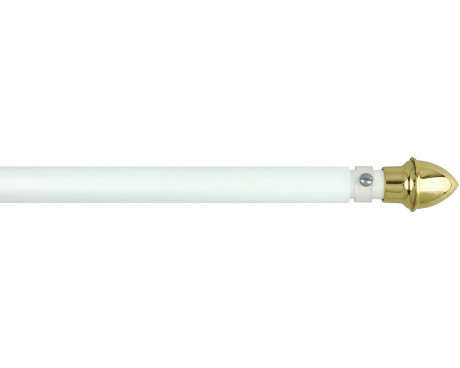 To measure for your new banner poles, first measure your lead banner. For the comfort of those carrying the banner poles, leave at least 4-6 inches on either side of the banner for the marcher to hold the crossbar. Another use for banner poles is to mount the crossbar using our crossbar mounting support hardware to a vertical parade flag pole. 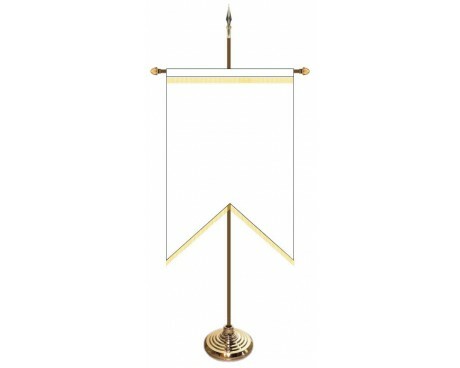 If you have a gonfalon or vertical banner with an opening in the center of the sleeve, it can be slipped over the crossbar and carried vertically by a single marcher. We see a lot of these types of banner pole/parade flag pole combinations used during a commencement ceremony. To see this type of setup, look for our gonfalon mounting set. Browse our extensive selection of parade flagpoles and indoor flag display sets, then place your order today! 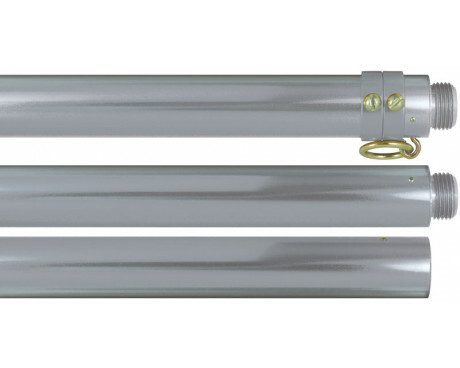 Have questions about our products, or wondering which parade flagpole might work best for you? Give us a call at 1-888-697-3524 or contact us online and we'd be happy to assist you!